Ben Carson is an ordinary, down to earth man, who has lived an extraordinary life. He is now running for president, and has written One Nation, which is a window to his thinking. Ben Carson is an amazing story. He grew up poor, without a father, and with anger issues. Yet his mother forced him to read and to exercise his brain. He admits that he was a poor student early on, however he started to enjoy learning and thrived. He went on to become a brain surgeon and was the first man to separate Siamese twins. He is a self-made man, and because of this, many naively think he isn’t “black” enough. On the contrary, he is American enough. He has a strong faith in God and is unashamed of it. Calmly, he consistently preaches a message of unity, love and American pride. If we are to survive, we need to have a president who is proud to be an American, and proud to serve the American people. We need someone who will calmly unite all the factions that have been created in America in the last eight years. There are plenty of candidates who fit this bill, and Carson is one of them. Dr. Ben Carson strikes a classic pose. In his book, One Nation, Dr. Ben Carson draws from experiences in his life that formulated his views. He also gives solutions to problems, such as the tax system, health care, and social issues. He stays consistently conservative and explains that a smaller government is better for everyone. In the first GOP debate, one thing that stuck out to me was his support of building up the military so that our defense is strong. This is an important issue for those of us who want to be able to negotiate without throwing our military in harm’s way. A nation cannot negotiate from a position of weakness, we must negotiate from a position of strength. 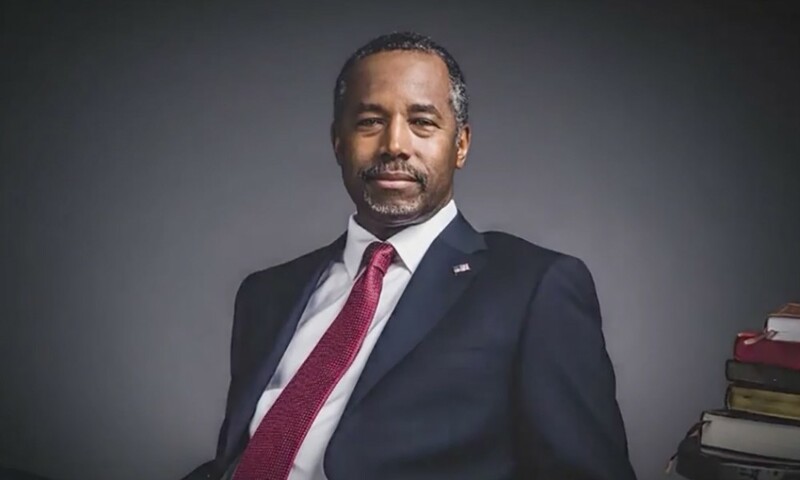 Ben Carson is a great candidate for president, as are many of the other candidates. We need to make sure that we pick a winner, someone who loves America, and is not ashamed of our past. We need a man who will protect religious liberty along with civil liberty. Ben Carson is one great option. Too often we have ignored wise counsel in this society. By now it may be too late to fully appreciate these men while they are alive, however, a young group of men is rising up. They are unafraid and tell the truth. American culture needs this to balance out the rhetoric spewed by the left about victimhood and race. Dr. Thomas Sowell and Dr. Walter E. Williams are well-known in conservative circles, yet it seems the world ignores everything they say. Even the conservatives in the past, like George Bush and others, seem to ignore the economic warnings they give out. One explanation of this is that good economics often is seen as bad politics, while bad economics may help in the short run, but only can get you elected. Bad economics cannot sustain success. These men consistently expose the racism in, whether inadvertent or purposeful, in the “progressive” policies of the left. In actuality, these policies can be more accurately called “regressive”, as they only hamper the success of the individual and grow the government. The liberal media loves to write them off, and promote Keynesian economics, which encourages more spending. They also show how race has been mishandled in America, however folks would rather listen to cultural Marxists and socialist idealism than actual realism. The realism of these men is as follows, that culture matters, and affects results. Thomas Sowell wrote about this extensively in his book Black Rednecks and White Liberals. This happens to be one of my favorite books on culture in America. Sowell breaks down the history of culture in America and other areas in the world. In so doing, he demonstrates over and over that culture matters more than race. When a culture is bad, the people suffer, and when it encourages hard work and thrift, the people thrive. A simple concept really, yet so hard for the masses to accept. The main issue is responsibility to create a winning culture, and in an American society where everyone blames everyone else, that does not fly. Saying that the effects of the minimum wage hurt black people is sacrilege. Explaining that a welfare state is never good for anyone is taboo. Common sense is ignored. Yet as these men age, a new group of young people are rising up. Men like Jason Riley, Allen West, Lenny McAllister and others are speaking out. Others are in the legislature, like Rand Paul, Ted Cruz, Tim Scott, and Will Hurd. The idea that freedom is what is best for all people is common sense, yet it is all too often ignored. With these men, and the young libertarian movement, there is hope that all common sense is not lost. There is hope that conversations about issues that may offend, but ultimately lead to solutions, will occur. Let us not be discouraged by what the media shows, but be encouraged but what is actually out in the world. There is hope, but the agents of that hope need to succeed for it to be realized. Growing up, I have always loved history. My mother taught me until sixth grade, and fed my love for history. Both of my parents are Christian conservatives, and that influenced me as I grew up. However, I did not learn much about the history of the Republicans and Democrats until I read a book by David Barton. It was called Setting the Record Straight: American History in Black & White. Barton explains the history of Black Americans in the history of America. He pointed to a book by William Cooper Nell entitled The Colored Patriots of the American Revolution. That book opened my eyes to a history of America often overlooked, or skimmed over. It goes through different states in America and talks about the black veterans in each state, and also the progress of blacks and Americans in the 1800s. This book simply reinforced my American pride. I was already proud to be an American, but finding out there was more to the American Revolution than simply James Armistead Lafayette and Crispus Attucks was amazing. Then, David Barton went on to talk about Reconstruction and the issues surrounding it. In high school history, the textbook usually mentions Frederick Douglass and Booker T. Washington. However, Barton talked about these men who were in Congress, all Republicans, and all self-educated men who made something of themselves after being freed from slavery. 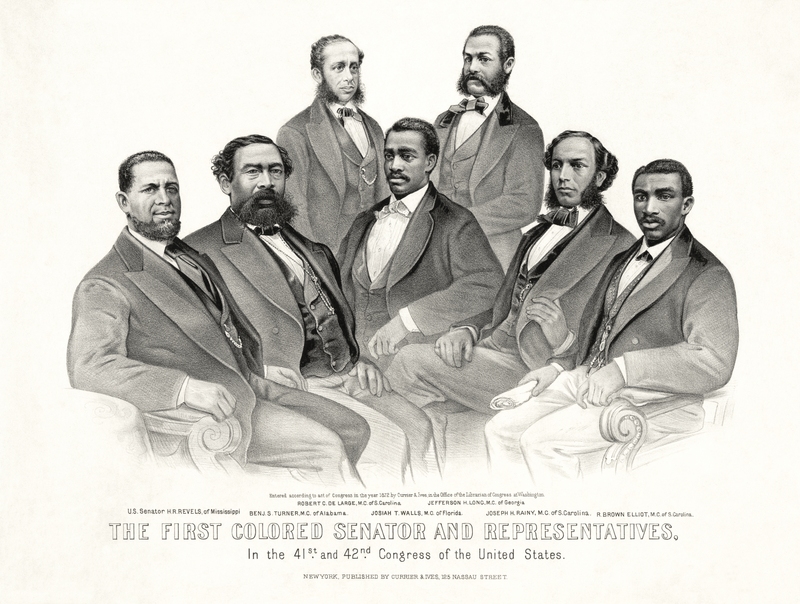 The first black congressmen in the United States. These men are talked about more in-depth in the book Capitol Men: The Epic Story of Reconstruction Through The Lives of the First Black Congressmen. When looking at the policies of the Republicans and Democrats then and now, my Republicanism was reinforced. Why should I vote for the party that didn’t think I was fully human back then, and currently would rather have had me aborted than adopted? Why would I vote for the party who was scared to let people who look like me vote back then, and now thinks I am too stupid to get an ID to vote? One party treats me like an American man, and the other party treats me like a child in need of parenting. I already have my parents, and they have done a good job. I do not need the government to help me based on my skin color. I don’t need affirmative action, I don’t need special treatment. All I need from the government is to be left alone. I have never been a Democrat, and never will be. That being said, my allegiance is to my God and not to any party. While I may be a Republican now, I am a Christian, a sinner who is saved by grace, and I will not carry the party line when my conscience tells me not to. Right now, America needs to get back to the small government we were built on. We need to return to freedom. Hopefully one of the presidential candidates will bring that about. Obama got his deal. This deal, to many, borders on treason. If it is not treason against America, it certainly is a stab in the back of our greatest ally, Israel. Obama needed 34 votes to pass the treaty through the Senate. This is a blow to the stability in the Middle East. How we can ignore the threat of a nation, who vows to destroy Israel, and vows to break the agreement in said treaty, is beyond me. The Senate should treat the deal as a treaty. They still can according to Andrew McCarthy. However, they have allowed themselves to push this dangerous deal through. The main issue with this deal is that we cannot trust Iran to comply. Also, there are apparently some incredibly bad concessions in the deal. Iran is allegedly allowed to inspect themselves, which makes it easier for them to hide nuclear weapons. If this allegation is true, the American leadership has let down the world. Iran with nuclear capability makes the world a more dangerous place. All of this aside, since when, in America, are government officials allowed to hide important information from voters and not heed their concerns? Since when do we bypass our legislature and appeal to the United Nations? We the people of America should be the priority of our diplomats, not some personal goal or feel good mission. American patriots have been promoting a Convention of States to reel in our government. This action needs to be taken sooner than later, so that we can retain our rights, and have the government work for us. We need major reform in our government, and the people should stand up and demand it. Hopefully Republicans in the Senate fight in the next week, but i doubt that they will. The GOP loves to promise action, but always seems to fail. The GOP is just as responsible as the Democrats. If we use our majority we could actually challenge the establishment. However, too many of the Republicans are part of the establishment. The Republican Majority in the Senate would surprise me greatly if they took a stand. Hopefully they will. The police in America are under attack. Instead of simply condemning the bad officers, we are now collectively condemning the whole profession. Irresponsible leaders have called for the killing of police officers. This action holds in contempt not only police officers, but all of the law-abiding citizens. When officers are threatened with their lives in this way, it hinders them from performing their jobs to the best of their ability. In turn, this leaves law-abiding citizens at the mercy of criminals. the idea that all police officers are terrible humans simply because of a few bad officers, is just as idiotic as the idea that all black people are thugs. There needs to be a condemnation of lawless people who murder police officers in cold blood. For the most part, if one is a law-abiding citizen, one will not have problems with officers. There are cases where this is not true, however, that is not the norm. The issue we have now in America is the idea that people can do whatever they want without consequences. That is wrongheaded thinking. Anarchy inevitably leads to tyranny. The people of the United States of America need to stand up for police officers. We also need to stand up for just laws. America cannot afford to be destroyed from within by empty rhetoric and violent outbreaks. We, as a people, need to unite and stand for true justice. Murdering police officers is not justice. The hatred perpetuated by certain groups of people should not be tolerated. Free speech should be allowed, but hate speech is not free for anyone. The hatred of police will not change laws. The killing of police will only incur worse laws. The men and women who think violence is the answer are wrong. Violence only hurts the cause unless it is in defense. These murders are not in defense, they are offensive, and thus they are unjust. Americans should stand for truth and justice, and rise up together, and speak loudly about the issues. We need to speak louder than those who spew hate, and make love the lasting cry of our generation. We need to speak loudly about the evils of murder, and show with love that it is never the answer. Together we must save our nation from destroying itself. The division cannot be tolerated. It must be condemned. Obama changed the name of Mt. McKinley back to Mt. Denali, and Twitter is angry! Except, when I looked up the issue, I found that Alaska has been desiring this change since 1975. Also, a Republican from Alaska sponsored the bill. Now Ohio Republicans, who apparently are not friends of federalism, want to fight the ruling. What alarms me the most about this issue is the fact that Americans, no matter what ideology, react before getting the whole story. We jump to accuse very quickly when something happens, even if it doesn’t affect us personally. To attack Obama on this before receiving all the facts is very irresponsible. The same collective outrage occurred when Mrs. Obama danced on Ellen. She didn’t do anything outrageous, so let her dance! The idea that Alaska cannot name its own natural landmarks however they desire is anti-federalism and pro big government. Hopefully cooler heads will prevail, considering most of the outrage is coming from outside of Alaska. The only reason Alaska asked Obama to issue an executive order was because Ohio kept blocking the bill. Alaska is a state, and therefore can use federalism to change the name of parks and landmarks in their state. They did just that, and considering Mt. Denali is the original name, I have no qualms about it. Federalism is pretty cool America. It allows states to take care of local issues so that the national government can stay at a reasonable size. Who Are The Top Choices Among These Candidates? Please vote on who you are supporting in the primaries. Author Josiah McElroyPosted on August 12, 2015 Categories Opinion, Politics1 Comment on Who Are The Top Choices Among These Candidates?